If I have correctly identified the age group of the audience of this site, all of you remember this legendary after-school television masterpiece. Zach, Kelly and the crew. Ah, the memories. Without getting too sentimental, or exposing myself as a devoted fan of the show (oops, too late), there is one thing in this show I always wanted then, but something we could all use much more now: the pause button. Remember that? Zach would find himself in a precarious position of who to ask to the prom or how to pull a fast one on ol’ principal Belding and he would look at the camera and say “PAUSE!” Everyone around him would freeze and become a statue. Zach would review the situation, weigh out the pros and cons, maybe provide a bit more insider information then would magically snap his fingers and those around him would continue on as if nothing happened, not a second lost. In my effort to teach parents to teach their children to be better at following directions or to become more “compliant,” I often bring up the idea of a “pause” button and how it can help us better teach compliance. Before you ask your child to do something or to stop doing something, I want you to “PAUSE.” Ask yourself, “what are the chances he is going to follow that direction?” If the chances are less than 80-90%, you need to figure out a better way to give that direction, a better time to give it, a better position from which to give it, or somehow change the way you ask to make it more likely he will respond appropriately. Why? Your job is to make this ratio as close to a 1:1 relationship as possible. Don’t expect the ratio to get closer to that magical number by punishing the noncompliance. Expect it to get there by preparing appropriately and reinforcing the compliance. 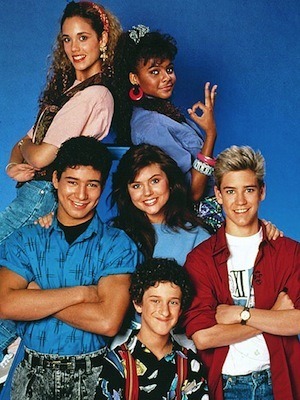 Do yourself a favor and hit that pause button every now and then…who said watching “Saved by the Bell” was a waste of time? ?